I don’t really have a desire to play games while in the bathroom, let alone while ON the toilet, but then again, I’m a female. This desire to play games during bathroom breaks got left behind with the Y chromosome. 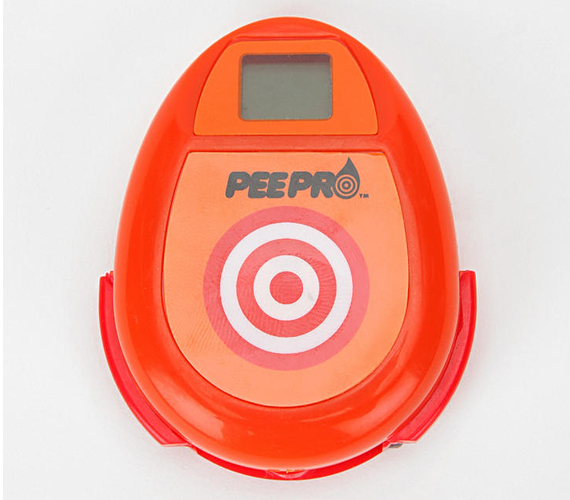 The Pee Pro is a silly device that determines the accuracy of a potty-goer’s aim. Those who are lucky enough to pee standing up can simply affix it to any toilet and take their very best shot. With its compact design, advanced floating technology, LCD counter, and target sensor capable of registering the score from the weakest of players, peeing just got competitive.